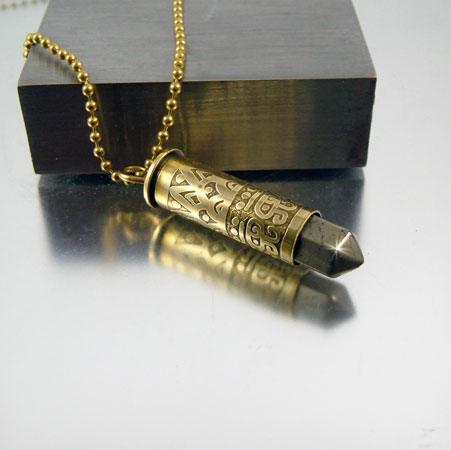 The design I drew on this 38 Special bullet casing inspired the name and use of a Pyrite point tip for this bullet necklace. The mineral gemstone has an antique gold tone, making it look and feel ancient, something from a by-gone era. Pyrite is normally called Fools Gold because of the mineral�s metallic luster and resemblance to raw gold. Pyrite is a mineral but is also known and used as a gemstone. 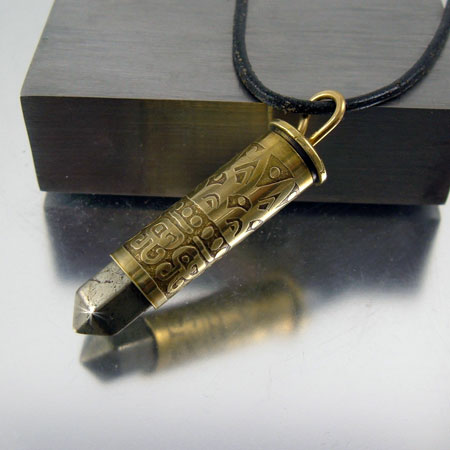 Some say the stone helps you communicate in a more open and honest manner, and that it provides emotional and physical protection. 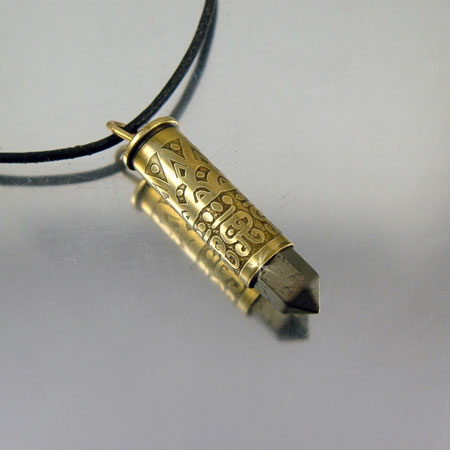 Wearing Pyrite is said to boost your self confidence. 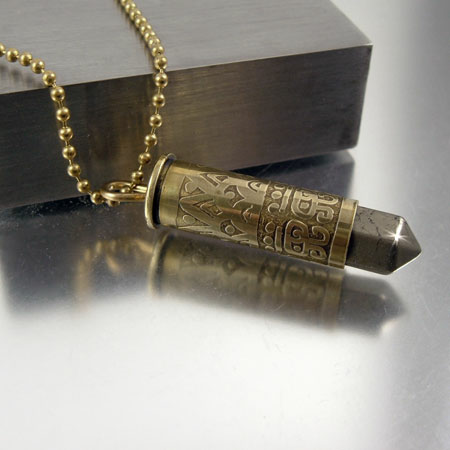 All I know is it sure looks great used in a bullet necklace. This is an original concept design made by artist Julie Teeples. The images, idea and concept is intellectual property and is protected by copyright law.